It might be a free plug‑in, but the Xpand! 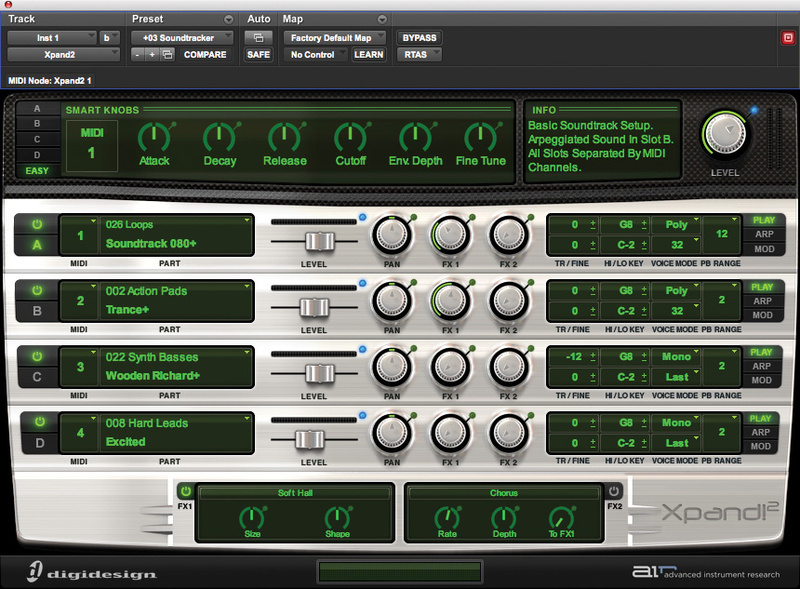 sample player bundled with Pro Tools has some serious potential. 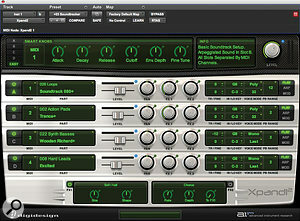 As part of the Pro Tools 8 upgrade, Digidesign introduced the AIR plug‑ins that we explored in the March and April 2010 issues of Sound On Sound. At the same time, they also quietly upgraded the excellent Xpand! sample‑playback instrument plug‑in to version 2, adding new features and extra sounds. Like the original, each instance of Xpand! 2 still has four parts, but the guys at the AIR group have taken the four pages of the original Xpand! interface and combined them into one. All the controls now fit on a single window, including the effects, arpeggiators and modulation. The effects section has also been improved, and there are some new effects, too: take a moment to look at the Chaos Delay and Cloud Delay effects. Now, go into the Setup menu and select Click/Countoff. 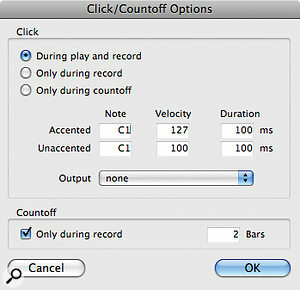 From the Click/Countoff Options window you can set the MIDI notes and velocities that will produce the new click sound, and the MIDI device that should play back this sound. 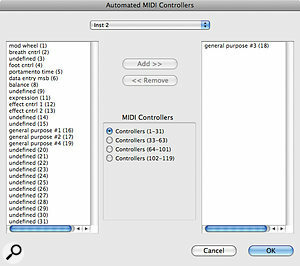 Enter the MIDI note of the kick drum you liked, and use the Output drop‑down menu to route it to the Xpand! 2 plug‑in. Set the output to an instance of Xpand! and you can use Xpand! sounds to play the Pro Tools click. 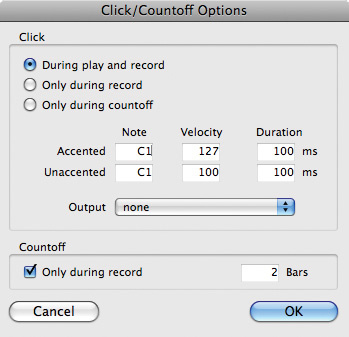 A neat time‑saving trick is that you can actually audition the click sounds from the Click/Countoff Options window: if you highlight the note in this window and play notes from your keyboard, Pro Tools will automatically change the note to the last one you played. I chose C#1 for the accented sound and C1 for the unaccented clicks. Now the automation lane under the instrument track controls the parameter you want to change. 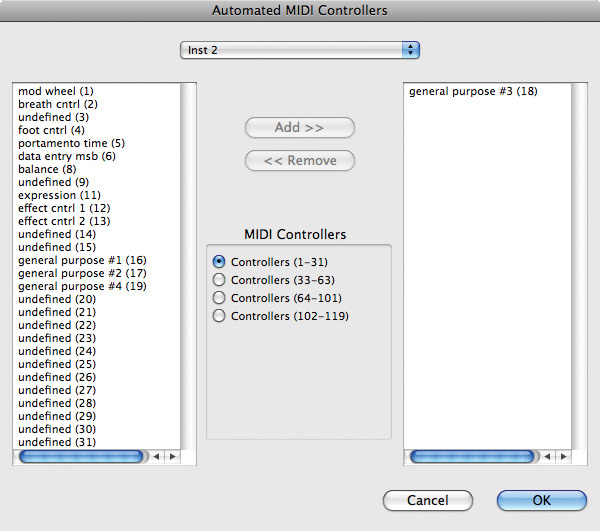 I have chosen to automate the filter cutoff control. You can create controller data in whatever fashion suits, including drawing freehand, but the Pencil tool has a number of other options, which are well worth experimenting with. The Pencil tool in Pro Tools has lots of variants for drawing interesting automation patterns. In this case, I'm going to start off with the Square tool. Click and drag across the track and you will see an outline of a square wave forming. Experiment with where you start and finish to get different heights and positions of the square wave. The frequency of the square wave is set by the grid value, so if the grid is set to eighth notes, the square wave will go up and down every eighth note. Alternatively, you could select the Line tool from the Pencil tool options and draw a series of lines. There are a couple of potential problems with Xpand! 2 that many users seem to encounter, so I'll run through the solutions in case any SOS readers are in this position. Second, some users have reported that on opening Xpand! 2, they are presented with a greyed‑out plug‑in window and the message 'The factory content was not found, please locate the content file 'Xpand2.big''. If this happens to you, you need to navigate to the appropriate folder and select the 'Xpand2.big' file. Once you have done this, a new preference file will be written in your library. Note that the same solution applies if Mini Grand or Boom reports the same problem. All '.big' files are located in the Pro Tools Creative Collection folder in the relevant sub‑folders.